Legislation enacted in 1995 created Wyoming’s Dual and Concurrent Enrollment Program. This program is a great opportunity for students to earn college credits while still enrolled in high school and at no charge for the student. 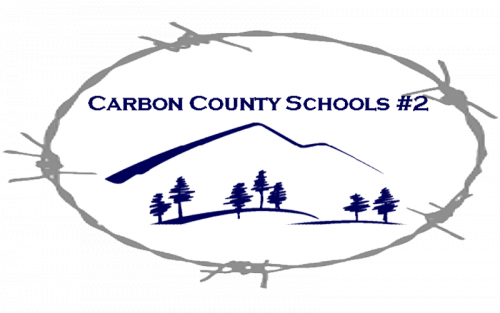 Carbon County School District 2 currently has agreements with Western Wyoming Community College and Sheridan College to offer college credits to high school students. Concurrent enrollment courses are taught at the high school by a college-approved high school teacher; students receive both high school and college credit for successfully completing these classes. Dual enrollment courses are taught by college instructors at the college or outreach center, through distance learning delivery; such as online, or through compressed video. Allows students to complete some requirements for either a certificate or an associate’s degree without paying tuition. Dual Credit: A course which is taught by WWCC faculty, usually delivered online, for which the student receives BOTH high school credit and college credit. The granting of high school credit for a college course is entirely up to the high school, and may be award as either an elective credit or subject specific credit (i.e. Math or English). Concurrent Enrollment: A course which is taught by college approved high school instructors, and taken for BOTH college and high school credit. The granting of high school credit for a college course work may be award as either an elective credit or subject specific credit (i.e. Math or English). The student may take a dual enrollment course beginning at the age of 16, students that have completed the sophomore year of high school, may be eligible for dual and concurrent coursework with an age waiver. The student must have a cumulative GPA of 3.25 or higher and fulfill the college prerequisites for the course, such as minimum scores on placement exams like COMPASS or ACT. Note: Students and parents should be aware that they are enrolling in college-level courses taught by college faculty, these classes may be more rigorous than traditional high school classes, and the grades earned in these classes will stay on a student’s transcript indefinitely. Tuition and textbook fees for students will be paid for by the Carbon County School District No. 2 BOCES if the student is within “Good Standing”. The student has maintained a satisfactory academic GPA, earning no less than a “C” in any dual or concurrent class attempted. The student has not withdrawn and received a “W” on their college transcript in the previous semester. The student has not been caught participating in academic dishonesty including but not limited to cheating, or plagiarism. The student has no outstanding BOCES balances for textbooks and associated replacement costs. Maximum Credit Hours- Students meeting prerequisite and GPA requirements may enroll in no more than seven (7) dual credit hours per academic semester. Concurrent classes taught by high school instructors within the schools are not included in the 7 credit maximum. Grades - WWCC does not mail grades. Grades are available through Canvas. Family Educational Rights and Privacy Act (FERPA)– this law, prohibits colleges from providing information (other than directory information) to anyone other than the student. What this means to parents is that the college cannot give you information about your student’s grades or attendance. The college also is prohibited from allowing you to enroll your student in classes or discuss their financial accounts without a note authorizing such from that student. WWCC sees each student who enrolls here as an adult, and does not differentiate between concurrently enrolled high school students and other students. Hathaway - certain classes will fulfill Hathaway requirements, such as ENGL 1010 & ENGL 1020 taking as a dual or concurrent class will meet a one year English requirement under Hathaway guidelines. For more information on specific courses talk with your high school counselor.